Union Environment Minister Anil Madhav Dave wrote in his will in 2012 that if people want to cherish his memories, they should plant trees and save them. Bhopal: The body of union Environment Minister Anil Madhav Dave was consigned to flames on the banks of the river Narmada at Bandrabhan in Madhya Pradesh's Hoshangabad district today, with full state honours. Anil Madhav Dave, who died in New Delhi yesterday, was 60. He had expressed a desire to be cremated on the banks of the Narmada, a river that was close to his heart and ran through his home state, Madhya Pradesh. 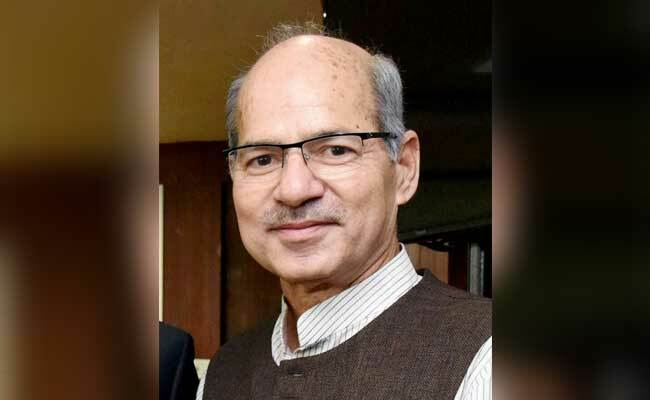 The funeral pyre was lit by Anil Madhav Dave's brother and nephew amid a tearful adieu by those present at Bandrabhan, where the union environment minister used to organise international river festivals to create awareness on water conservation, Bharatiya Janata Party or BJP spokesperson Rajnish Agrawal said. Madhya Pradesh Chief Minister Shivraj Singh Chouhan; union ministers Harsh Vardhan, Uma Bharti, Anant Kumar, Narendra Singh Tomar and Thawar Chand Gehlot; Rashtriya Swayamsevak Sangh leaders Bhaiyyaji Joshi, Dattatraya Hosbole and Suresh Soni, and BJP General Secretary Kailash Vijaywargiya, among others, attended the funeral. The body of Anil Madhav Dave was brought today morning to Bandrabhan from his home, 'Nadi Ka Ghar', in the state capital Bhopal. 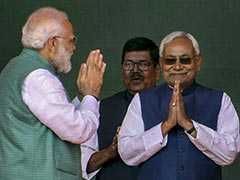 Shivraj Singh Chouhan and other BJP leaders lent their shoulders to the departed leader. A guard of honour was also given to Anil Madhav Dave. The Madhya Pradesh government yesterday declared a two-day state mourning. Leaders from all political parties also expressed grief over Anil Madhav Dave's death. A pall of gloom descended on 'Nadi Ka Ghar' yesterday with the union environment minister's supporters flocking to the three-storey building set up by him, which was also used to run Narmada Samagra, a non-governmental organisation for conserving the river regarded as the lifeline of Madhya Pradesh. Born on July 6, 1956 at Barnagar in Madhya Pradesh's Ujjain district, Anil Madhav Dave, a bachelor, used to live in this house whenever he was in Bhopal. The house was his nerve centre for running the river conservation campaign as well as to make strategies for contesting elections. Anil Madhav Dave, in his will dated July 23, 2012, said, "If you want to cherish my memories, plant trees and save them. This would give me pleasure." He also wrote in his will that he did not want any statue, memorial or award instituted in his name.